Crab Ball is an arcade game on www.bestgames.pk in which your become a crab and play ball with the computer. Once it starts, you will be located in the beach of the sea. And you can also listen to the sound of the sea and Seagulls. And then you will find two red crabs standing on the beach. A wall is standing between them. The crab who is standing on the left of the screen is you. When the game begins, you can use the arrows to play the ball. If you pass the ball to the other side, and the computer can’t take the ball. Then you will get one score. If you can’t take the ball which you opponent passed, you will lose one score. All you have is ten scores, when lose all of them, you have lose the game. Don’t worry, you can start again. Zombies are invading our planet! Fight against them to save our home! Kill all the zombies to complete each level. Move your mouse to set the shooting angle and power. The balloons can lift you and zombies up. Make full use of them to kill zombies. The available weapons are shown at the bottom. Do not kill the innocents! This free shooting game Balloons vs Zombies 3 is from www.bestgames.pk. Enjoy yourself! 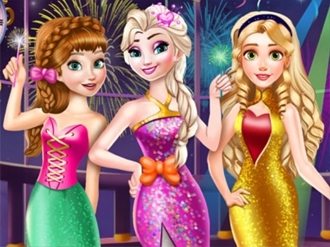 Help Elsa, Anna and Rapunzel look gorgeous at the New Year party! The three princesses are best friends and each of them decided to go for a new look on this special occasion. 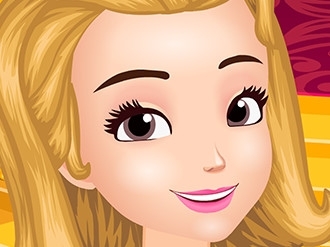 Choose Elsa's dress, hairstyle, shoes and accessories and then move on to Anna and Rapunzel. Once you've decided on their glamorous outfits, it's time to celebrate and have fun all night long!